Aluminium handles and detachable ribbed handle grips. Sharp and easy to handle for delicate or demanding precision work. Case with integral magnetic blade storage strips. 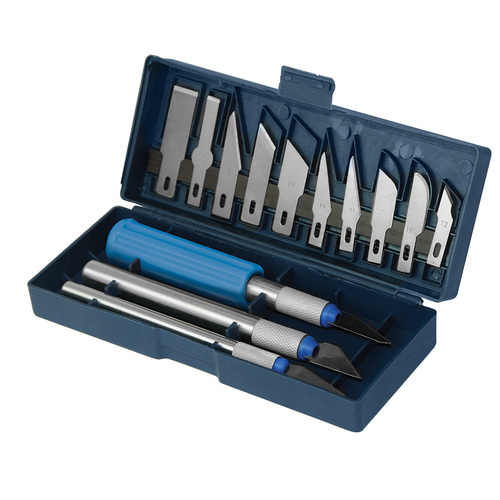 Includes 3 x handles, 11 x assorted scalpels and 2 x chisel tips.